Safeguard quality and cut costs. 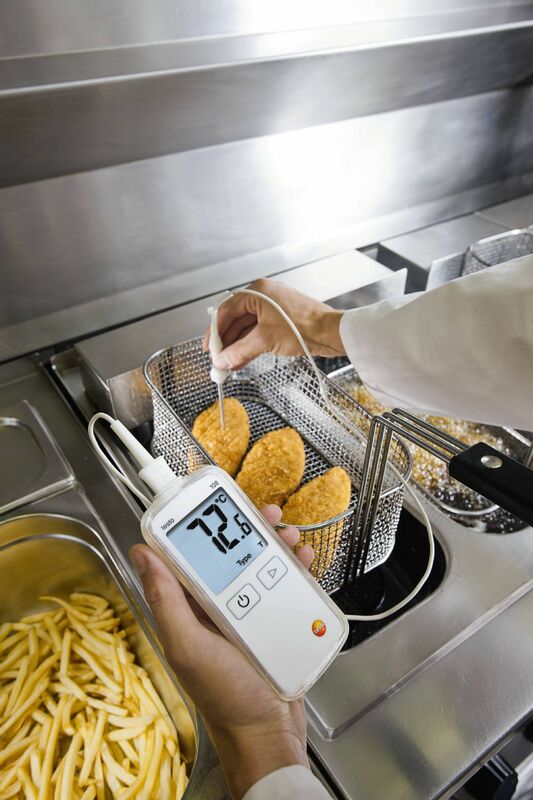 In order to ensure that customers can consume meals without any worries, the correct heating and temperature of food must be monitored in the food preparation area. 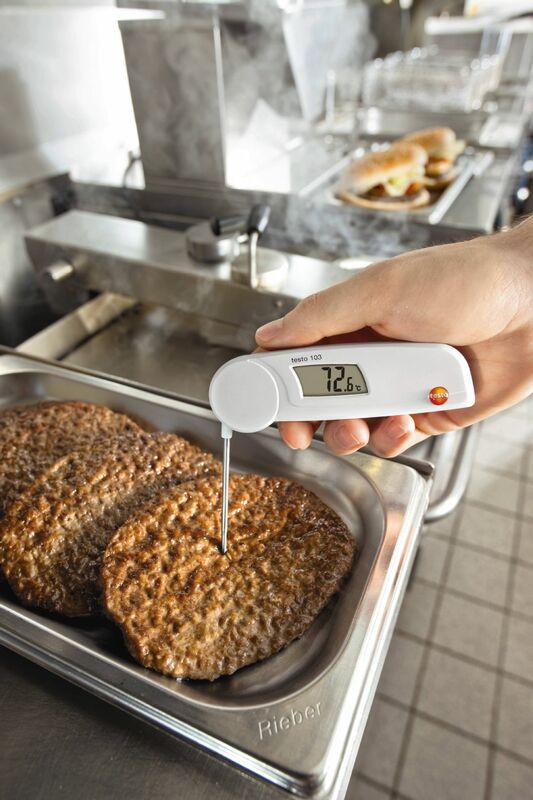 Testo's HACCP-compliant core temperature measuring instruments with EN 13485 certification ensure reliable food temperature measurement. 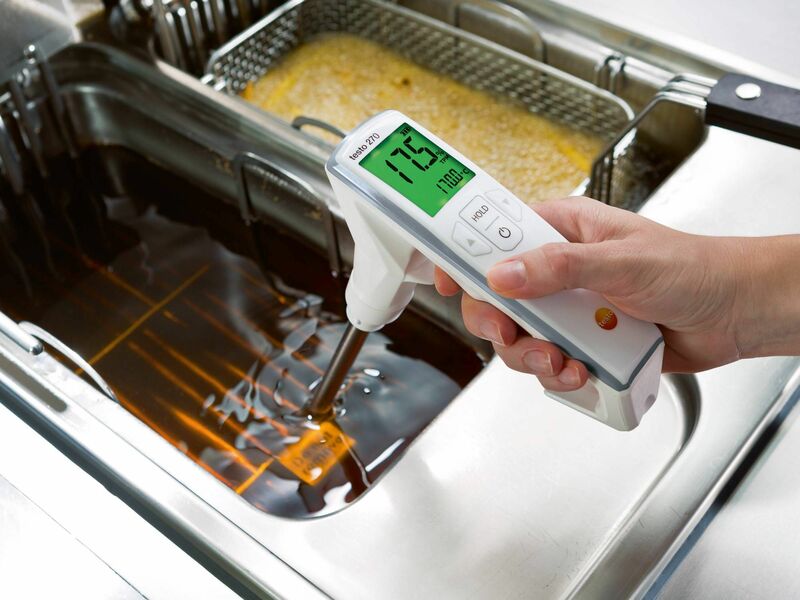 When it comes to saving cooking oil and compliance with statutory regulations, our testo 270 cooking oil tester is the ideal measuring instrument.